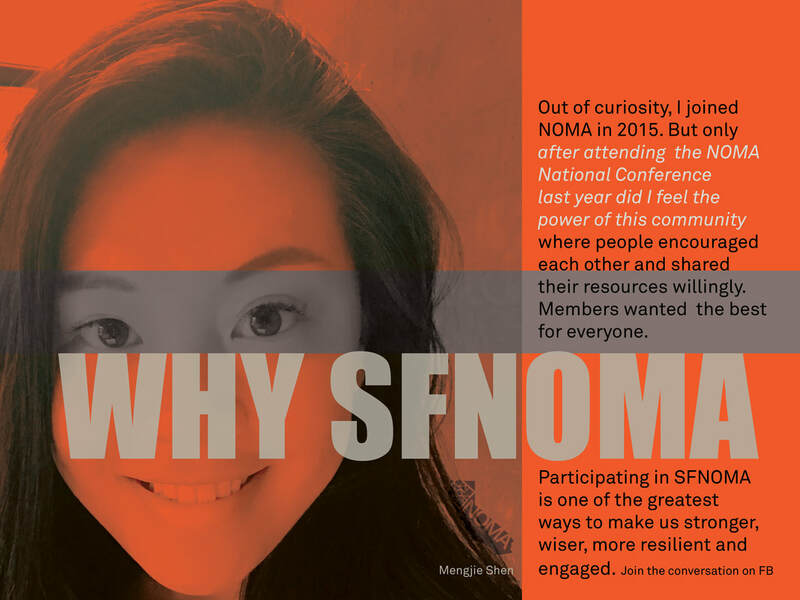 SFNOMA members are a diverse group of individuals engaged in the architecture and design profession; and part of a network of nation-wide professionals that uniquely implement the NOMA mission. 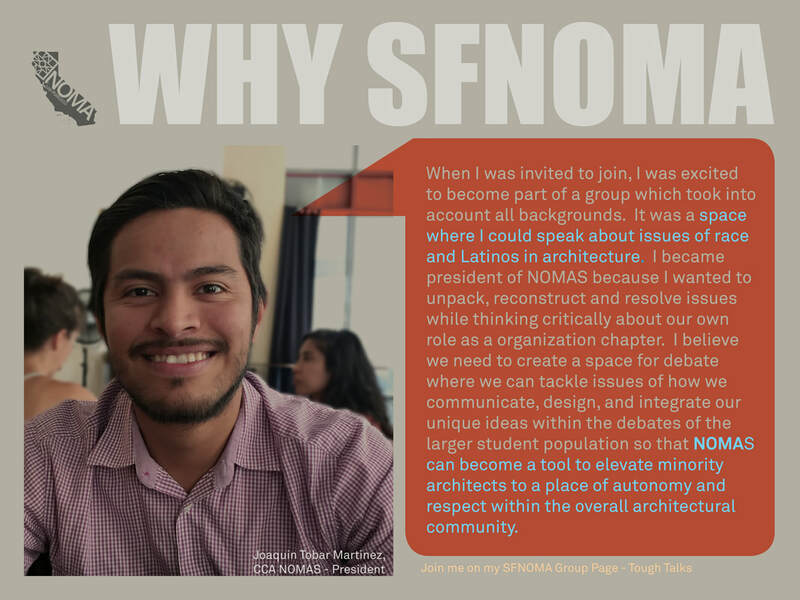 What binds us together and fuels our volunteer activism is a duty to social responsibility and to actively address relevant social and environment issues, such as affordable housing, inclusiveness, and universal economic access. ​ Join SFNOMA and be a part of a dynamic organization committed to excellence and positive change. REINVENT, ​ rethink and consistently stay engaged with changing opportunities to engage our talent in the MultipliCITY . EDUCATE ​ youth and underserved communities about architecture as a career, as well as its role as a present and historic cultural force. ADVOCATE ​ for change in the needs of communities and expanded business development opportunities for our members. 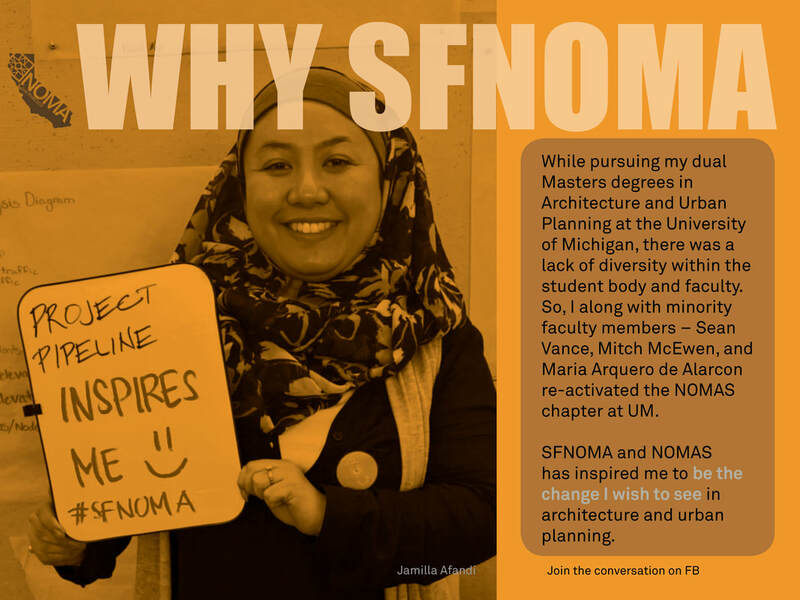 CONNECT ​ professionals and students through networking and community action programs. HIGHLIGHT​ the achievements and leadership undertaken by our members and those in allied professions. ​We are going to have to have people as committed to doing the right thing to inclusiveness as we have in the past to exclusiveness. Expand your REACH! 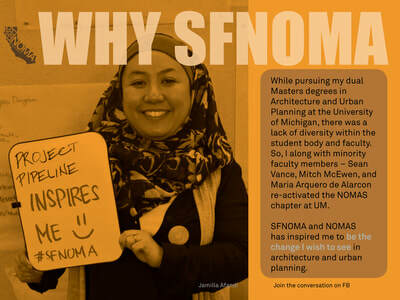 Learn more about our programming and how you can get involved.